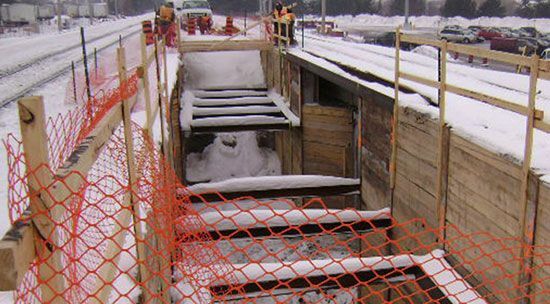 Work on the Malton GO Station in Toronto, Ontario includes improvements such as new walkways and a tunnel for pedestrian access to new platforms. 37 caissons at 30-inch diameter, and an approximately 25-foot deep shoring system with strand anchors. 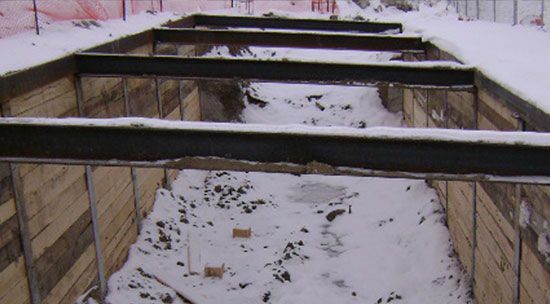 The pile and caisson installation was challenging due to a number of factors. The train tracks, in close proximity to the work being done, were required to be fully operational. Special precautions were taken for track protection and the safety of workers. 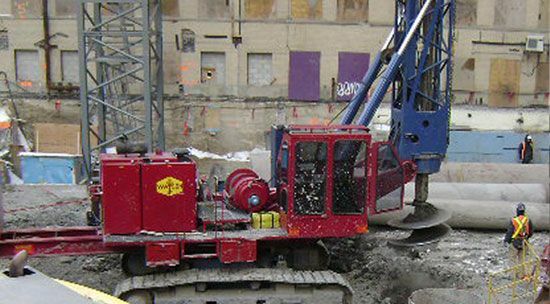 Due to the close proximity to Pearson International Airport, special precautions were taken to conform to the Greater Toronto Airport Authority’s guidelines for the operation of high-mast drills and cranes. 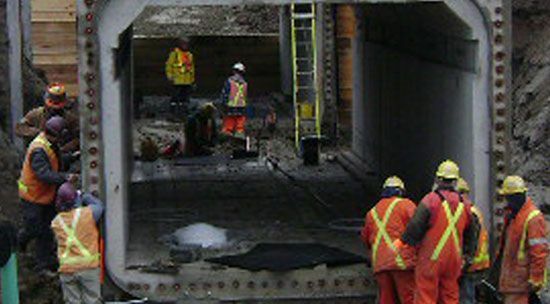 HC Matcon accommodated special staging requirements set forth by CN for work, such as the installation of the precast tunnel and track relocations. HC Matcon will work with all parties involved in a project to ensure a swift execution with minimal conflicts.